You have to say this for the intrepid people of the Western Catskills: When first Hurricane Irene and then the October snowstorm struck the area like a one-two punch in 2011, they weren’t content to sit around wallowing in self-pity, waiting for folks from the outside to come in and rescue them from the devastation. No, they immediately set to work organizing their own relief efforts, collecting food, clothes, and money, and working with whatever agencies were in place to assist. What a difference a few short weeks make. When I visited on Easter Sunday, April 8, the Freshtown Supermarket, which had been completely inundated with water so that even the CVS right next to it completely collapsed and left a gaping hole, had not yet reopened. 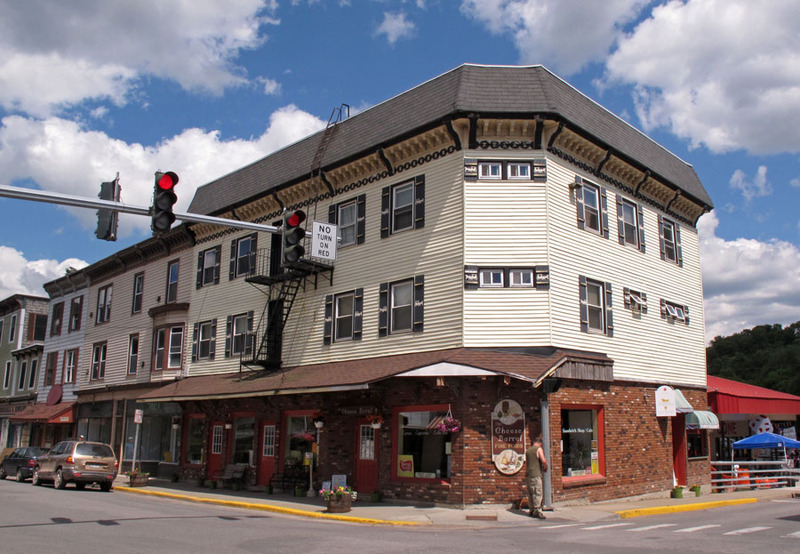 The Cheese Barrel, a popular restaurant and food store, had relocated to temporary premises in the old Galli-Curci Theater across Main Street; the owners were hoping to be back in their original home by Memorial Day Weekend or in early June at the latest. 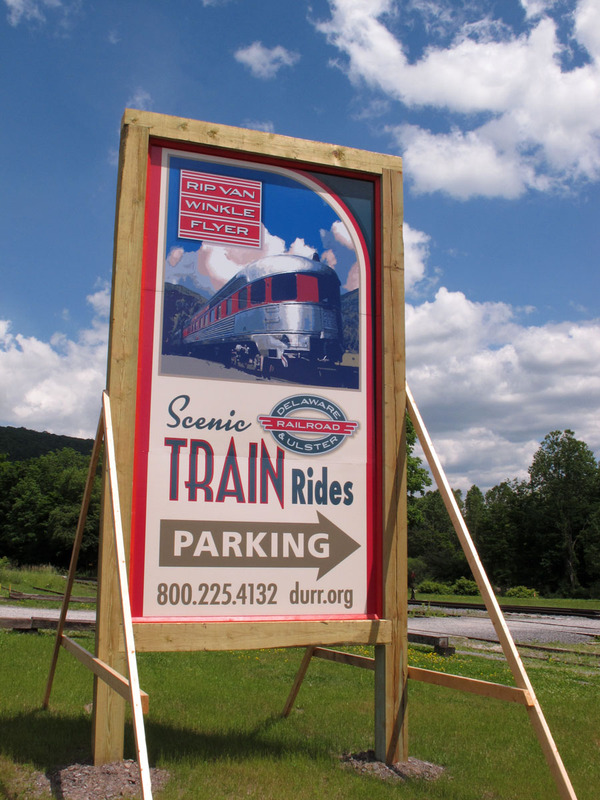 And in Arkville to the east, the Delaware and Ulster tourist railroad was still busy reconstructing in hopes of being open in time for the summer season. Fast forward to mid-June and here’s what I found. 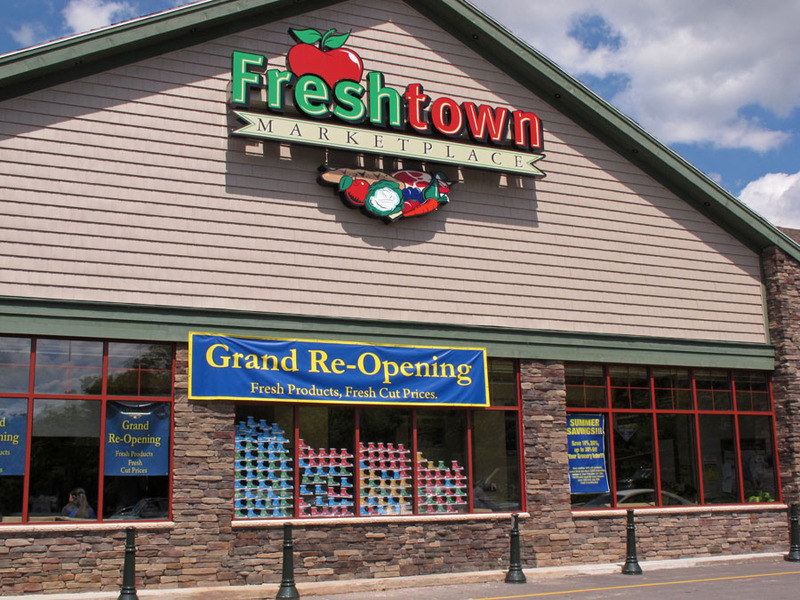 The Freshtown Supermarket, looking all bright and new, reopened on May 23! The Cheese Barrel is indeed back in its original home. 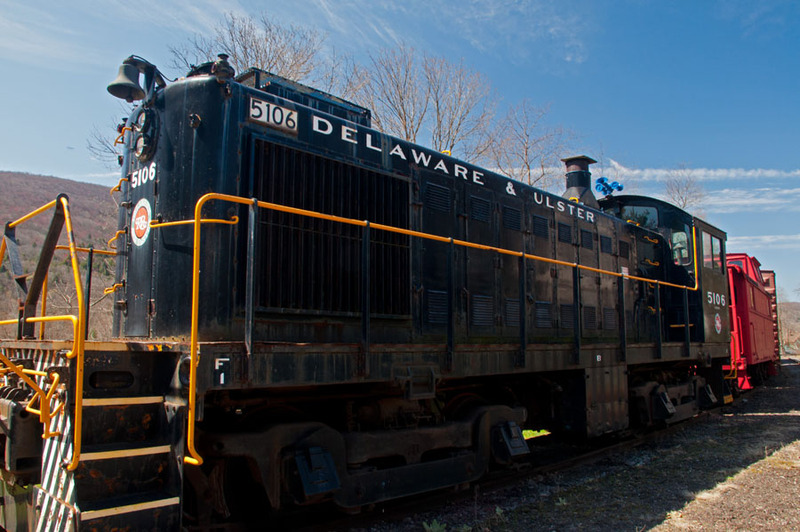 And the Delaware and Ulster tourist railroad is back in business, taking people for rides along the historic railway tracks on Saturdays and Sundays. The CVS, which relocated to new premises following the complete collapse of their original building next to Freshtown after Hurricane Irene, is still in those premises. Whether they intend to stay there or to rebuild on the original site, I don’t know; perhaps someone reading this blog can tell me. This report wouldn’t be complete without a big thank-you as well for New York State’s Governor Andrew Cuomo for being right in the thick of things, visiting these devastated sites and galvanizing all the agencies to do everything possible, ASAP, to help these brave and resourceful people to help themselves. Kudos to the people of Margaretville and Arkville and to Governor Cuomo. And did I mention that the main bridge into picturesque little Phoenicia is now reopened?